This September will be see the inaugural Fire Safety & Digital Security Summit 2019 take place at the prestigious Jaguar Land Rover facility in Castle Bromwich. The Summit – brought to you by the same team behind magazines Clearview, Pro Installer, The Locksmith Journal, and Lockex 2018 – Security & Fire Safety – plans to be an annual event covering the main issues in the industry through a series of seminars, expert discussions and demonstrations, plus peer-to-peer networking opportunities. Organiser Steve Sidebottom commented: “Fire safety is the hottest topic in our industry at the moment, and its crossover with fenestration and the security sector, means that everyone who writes for or reads any of our magazines is affected by this ever-changing subject both professionally and personally. “The decision to start a Fire Safety & Digital Security Summit 2019 – to coincide with September’s Fire Safety Week national campaign – has come as a direct response to the ever-increasing news stories and feature articles we have seen across all of our titles, here at Clearview, over the past 12 months. 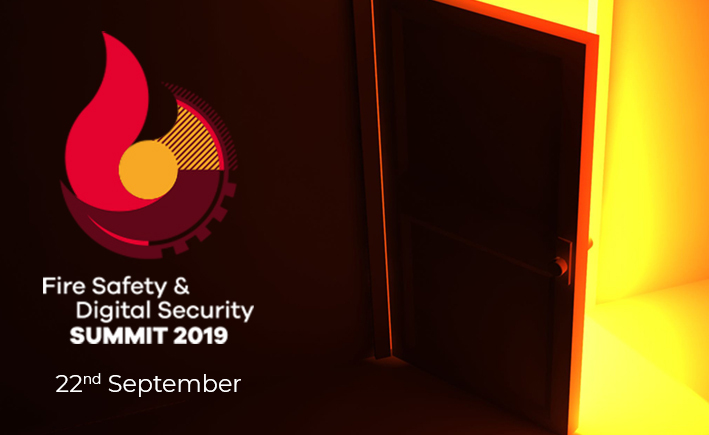 The Fire Safety & Digital Security Summit 2019 is still open for guest speakers and high-profile industry experts to book a slot for a seminar or key note speech. As well as the Summit, guests will enjoy a tour of the Castle Bromwich Jaguar Land Rover plant, and evening meal and speech, with an after-dinner speech. More information will be available in due course. Please contact Steve Sidebottom at steve@cvgroup.co.uk if you would like to be a part of the event.